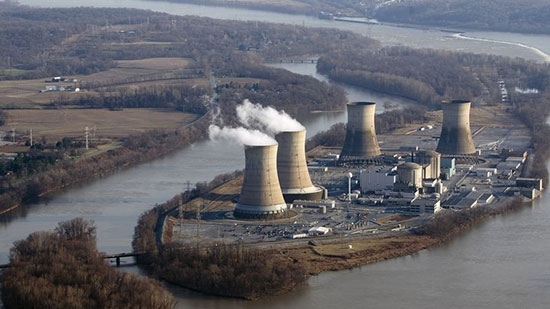 Exelon Corp., the owner of Three Mile Island, announced today that it will shut down the nuclear power plant in 2019 without financial help from the state of Pennsylvania. The single-unit plant has been losing money for five years straight and has failed to sell it's capacity into the regional grid at auction. The Chicago-based Exelcon wants Pennsylvania to treat nuclear power like it does other renewable energy sources like solar and wind. It has been able to win approval for nuclear bailouts in Illinois and New York. Nuclear plants are zero-carbon operations, but cheap natural gas from the Marcellus Shale is making it hard for nuclear to compete. In 1979, a combination of equipment failure and operator error caused a partial core meltdown of one of Three Mile Island's reactors. They only use one reactor now. Pennsylvania is the #2 state for nuclear power, Illinois is #1. A clerk was shot and injured during a robbery at a convenience store in the Tacony section of Philadelphia overnight. It happened around 4:15 a.m. at the 7-Eleven on the 6900 block of Torresdale Avenue. Two employees were in the store at the time when two masked men entered. One stayed at the door as a lookout while the other pointed a gun and ordered one employee to open the register. The employee complied and filed a duffel bag with cash. The robber then ordered him to open a second register, but the employee told him that he wasn't able to. The man got frustrated and shot the clerk in the upper arm. The robbers fled with an unknown amount of cash. Police and medics arrived shortly after. The clerk was taken to Aria-Jefferson Torresdale and is in stable condition. Officers and K-9 units found a man on a nearby roof they are describing as a person of interest. Police are reviewing surveillance tape from the store. No arrests have been made. There were no customers in the store at the time. A Wilmington, DE, man was restrained by witnesses after they saw him hit his girlfriend over the weekend. It happened on Friday night in Rehobeth Beach, DE. 20-year-old Kyle Halloran was observed arguing with his girlfriend, a 20-year-old New Jersey resident, before punching her in the face. Halloran tried to flee but was chased down and held by onlookers until police arrived. He is charged with one count of third degree assault, one count of offensive touching, and one count of underage consumption. Halloran was taken to Sussex Correctional Institution and released on $550 bail. The girlfriend was treated on scene for her injuries.